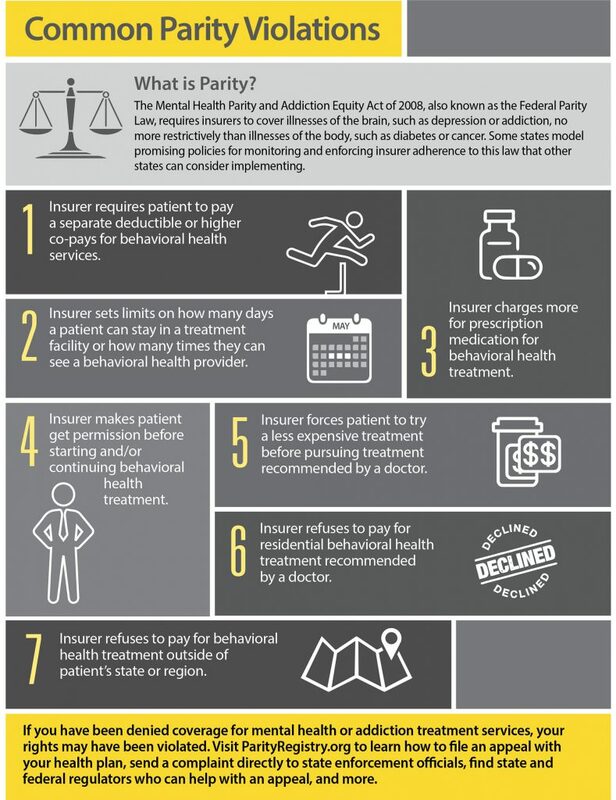 Insurance plans must implement mental health parity, which means, if the plan covers mental health, providing coverage for mental health related services comparable to those offered for physical health services. This includes making sure people have choices in both services and mental health professionals with access to necessary and effective treatment options. Every patient has the right to appeal if denied coverage by their insurance plan. If denied coverage, every patient has the right to request and receive from their health plan the complete claim file, including internal plan notes, medical records and other relevant documents. To get help with filing an insurance appeal, call Rhode Island’s health insurance consumer hotline at 401-270-0101. People living with mental health conditions have the right to a full explanation of insurance benefits, treatment options, and side effects.